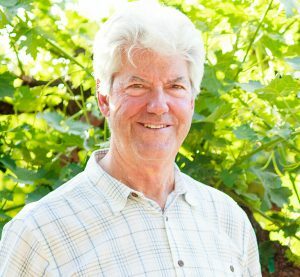 Spencer Hoopes and his daughter Lindsay are focused on making great Cabernets that are unique expressions of the viticultural areas that make Napa internationally renowned. A former anti-trust attorney and manufacturer and wholesaler of automotive parts, Spencer Hoopes grew up on a farm in the high desert in southeast Arizona. Farming, though not grape-growing, has always been part of his DNA. Spencer is an avid outdoorsman and accomplished marksman, who also has a passion for fly fishing, skiing, camping and spending time outdoors. Spencer has also passed on his love for dogs to his daughter Lindsay. After his favorite terrier, Dante, passed away, the family acquired two rescue dogs, littermates Sophie and Maya. Spencer’s love for family and the land, as well as his spirit for adventure, is alive and well. Lindsay Hoopes has always been a wine enthusiast, due in large part to growing up on the vineyard. She grew up walking in the vineyards alongside her dad, Spencer Hoopes. Together the family spent many afternoons conversing about growing cycles and wine branding. This gave Lindsay a unique perspective. Those afternoon conversations have served her very well in the wine business, where she is one of the youngest winery General Managers in Napa and one of a very small number of women who run wineries in the Napa Valley. Lindsay has advanced degrees in business and law. She is a graduate of Phillips Academy, and Georgetown University. She has a Doctorate from Hastings College of the Law, and a LLM from Trinity College in Ireland. Before returning in 2013 to manage the family’s wine business, she completed the E&J Gallo Management Development Program, after which she was recruited by Williams-Sonoma to manage production and supply chain logistics for Pottery Barn throughout Asia, Europe and South America. Most recently she worked as an Assistant District Attorney in San Francisco. Her cases were high-profile and often in the headlines. Lindsay is currently working on her winemaking certificate at UC Davis and continues to volunteer for the San Francisco DA’s Office in the Homicide Unit. She is fluent in Spanish, Catalan, and Mandarin. An avid traveler, ski enthusiast, photographer, chef and lover of animals, Lindsay brings a genuine passion and spirit of adventure to the winery. The Hoopes scion has many new ideas for the winery, but retains a sincere reverence for the history of the region and her farm origins. 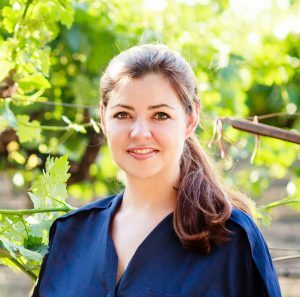 Lindsay Hoopes is a member of Next Gen, the “next generation” of winemakers who grew up in the Napa Valley, and in many cases worked alongside their families in the wine business before leaving to go to school or work in other places. Lindsay has been the General Manager of Hoopes Vineyard since March 2013.